The spread of wilding conifers continues unabated, at high economic and environmental cost. New management strategies and technologies are needed to combat the problem. 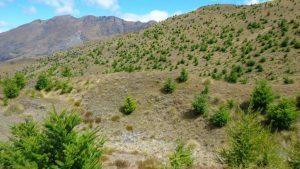 This programme aims to resolve where and when management can minimise the spread and negative impacts of wilding conifers, while minimising costs. We aim to develop smarter, more cost-effective approaches to wilding management to reverse, or slow, wilding conifer invasion. new management techniques to contain and reduce the spread of wildings. This is a five-year (2016-2021) project with a total budget of $14 million, jointly funded by the Ministry for Primary Industries, the Department of Conservation, the forest industry and others. The Wilding Control programme will combine research on invasion dynamics and management interventions. The aim is to ensure future management efforts will slow or reverse wilding conifer invasion. 1) developing techniques for early wilding detection – for example, by remote sensing – so as to aid planning of management actions and increase the effectiveness of wilding control. 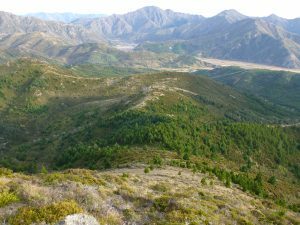 2) trialing new management strategies – incorporating the spatial distribution of wildings across the landscape, and their negative impacts, so that high country landscapes, flora, fauna, and other ecosystem services, can be better protected. 3) identifying the optimal combination of current and future interventions – using models to develop strategies for long-term integrated wilding control which minimise both the costs and the negative environmental impacts of wildings and their management. Other lead scientists: Dr Thomas Paul (Scion); Phil Hulme and Ian Dickie (Bioprotection, Lincoln). 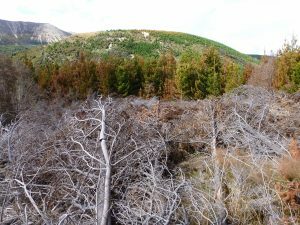 This project is closely linked with the NZ Wilding Conifer Management Group . Wildings spread across a high-country landscape. Our aim: better targeting of wilding control. 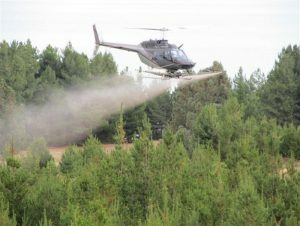 Wilding control: negative environmental impacts.